When pancreatitis is suspected, Dr. Yamini will begin by taking blood tests to determine if pancreatic enzymes are elevated. For this gastroenterology condition, stool tests are a method of measuring levels of fat to determine the efficiency of nutrient absorption in suspected chronic cases of pancreatitis. It is next important to discover whether there are gallstones present and to what extent the pancreas is inflamed. Some of the tools used to diagnose pancreatitis may include abdominal ultrasounds, computerized tomography (CT) scan, endoscopic ultrasound and an MRI. Fasting can help the pancreas to recover in acute cases. Once inflammation has died down you may return to drinking clear liquids and eating bland foods. It is important to maintain this diet until advised otherwise by Dr. Yamini. In some cases, where pain when eating persists, Dr. Yamini may recommend a feeding tube to provide nutrients. There are a number of other treatments for pancreatitis available including treatment for alcohol abuse. Dr. David Yamini specializes in gastroenterology with an additional focus on conditions of the liver. His expertise and experience have allowed him to provide excellence in treatment to patients in the state of California. A consultation with Dr. Yamini is one-on-one, where patients can openly discuss concerns about symptoms and the implications of any potential treatment options. If you are suffering from pancreatitis, your treatment will be in good hands under the care of Dr. David Yamini. 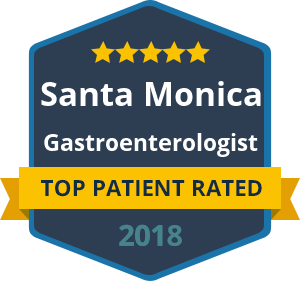 With specialization in treating diseases and disorders that affect the gastroenterology systems, Dr. Yamini is a trusted care provider in Santa Monica and Beverly Hills where he has offices. Reach out to the offices of Dr. Yamini if you are suffering from pancreatic pain when eating or drinking. Effective treatment options are waiting for you in California today.